Only one tournament remains for professional players hoping to qualify for Blizzard's Grand Final at BlizzCon. South Korean professional StarCraft II player Lee "Life" Seung Hyun beat out Swedish player Johan "Naniwa" Luchessi yesterday to take first place and a $10,000 prize at the Intel Extreme Masters (IEM) New York tournament. The sixteen-year-old professional gamer is now twelfth overall for total earnings in competitive StarCraft II with $117,000. The semifinals saw a decisive 3-0 victory for Lee over fellow Zerg player and StarTale teammate, Lee "Curious" Won Pyo. A third Korean Zerg player, Ko "HyuN" Seok Hyun, proved a difficult challenger for Luchessi, who plays Protoss. Hyun won the first two games of the series, but Luchessi came back with three consecutive wins in an impressive end to the series. The best-of-seven finals match ended with four wins for Lee, losing two games to Luchessi, and continuing the trend of Korean players dominating the tournament scene. The IEM tournament, held at New York Comic Con, was the penultimate chance to earn World Championship Series (WCS) points. The StarCraft II World Championship Series consists of 13 events spread over the year, divided into three seasons of regional events that culminate in global seasonal finals. The three regions are WCS Europe, WCS America, and WCS Korea. The last chance to earn WCS points will be at the WCS Season 3 Finals in Toronto, Canada from October 25 to 27. The sixteen players with the most WCS points will compete at Blizzard's WCS Grand Final in November, at BlizzCon. The Grand Final features a $250,000 prize pool, with the first place winner receiving a whopping $100,000 USD. Lee, who stands at 27th in the WCS rankings, will not qualify for the Grand Finals, but Luchessi may still qualify. In second place, Luchessi received 450 WCS points; first place would have earned him 750 points and a slightly more secure ranking. Now, he sits at 15th in the rankings and whether or not he qualifies for the Grand Finals depends on the performance of other players at the WCS Season 3 Finals. The Season 3 Finals gives large WCS point awards to the top four players (3,000, 2,000, and 1,500 for first, second, and third or fourth, respectively) and could force Luchessi out of the top sixteen. 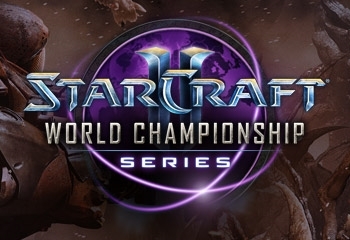 The 2013 StarCraft II World Championship Series Season 3 Finals will be streamed live from Toronto. General admission tickets to the event are still available, with three day passes priced at $30 CAD. BlizzCon tickets are sold out, but the WCS Grand Final will be streamed live and a high definition stream will be available to those buying a BlizzCon Virtual Ticket, priced at $39.99 USD.